Okay, so I am an avid reader, but, as you can tell from this threadbare blog, not an avid writer. Which is why I'm going to take this opportunity to introduce Lesley Livingston's new book, STARLING! I am super duper excited about this book, mainly because Livingston's other four books (Wondrous Strange, Darklight, Tempestuous, Once Every Never) were absolutely AMAZING. And, two words: Fennrys. Wolf. 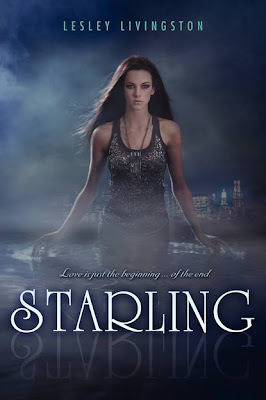 And here is the gorgeous and fantabulous COVER for STARLING!!! Enjoy, peeps!